Where else but Boston, would a bullpen cop become a folk hero? 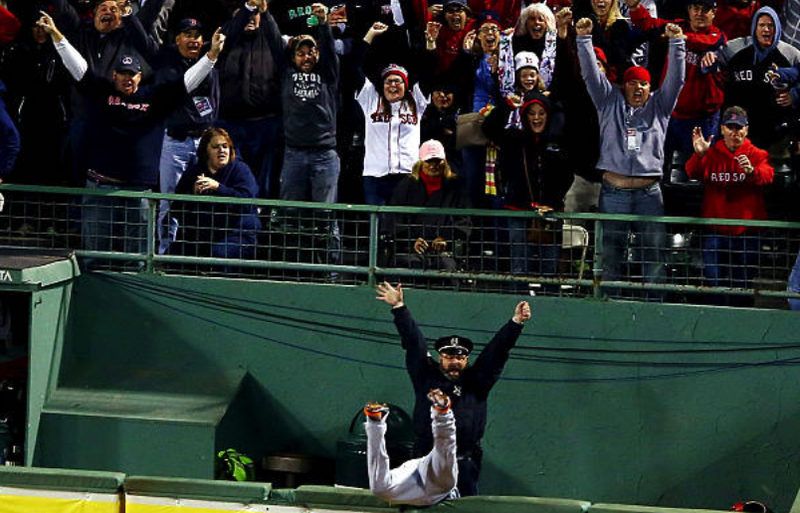 Boston Police Officer Steve Horgan achieved that status by his reaction to David Ortiz's epic Game Two ALCS grand slam in 2013. As Ortiz's buddy Torii Hunter tumbled into the Sox bullpen, Horgan raised both arms in triumph. The rest is hardball history. Now, we hear that Horgan will retire after this season, giving up one of the best gigs of any type in the City of Boston. He says he will miss his duties, but he looks forward to spending more time on another love of his—cooking. And, given his star status, he might even consider a cooking show on local TV. Best of luck, Officer Horgan, in whatever you pursue!